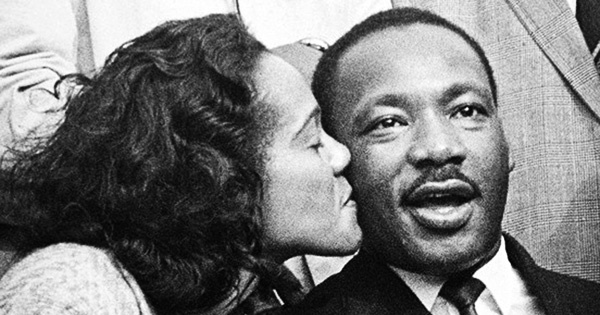 There are so many things that people don’t know about Coretta Scott King, the wife and widow of Martin Luther King, Jr. While her husband was working hard on civil rights for African Americans, Coretta has also been credited with significant accomplishments of her own. She enjoyed raising their 4 children, but she did not simply remain on the sidelines when it came to fighting for civil rights. #1 - Coretta Scott Kingwas born in 1927 in Marion, Alabama, where she grew up on a farm and picked cotton. Her parents, however, made sure that she and her sister went to and graduated from college. #2 - She had two sisters, Edythe and Eunice, and a younger brother, Obadiah Leonard. Sadly, Eunice died during her childhood. #3 - Coretta had a beautiful singing voice, something she reportedly inherited from her mother. While she was attending college, she transferred from Antioch College in Yellow Springs, Ohio to the New England Conservatory of Music on scholarship, studying voice and violin. #4 - Her older sister, Edythe, was one of the first Black students to attend Antioch College in Yellow Springs, Ohio, and Coretta joined her there a few years later. #5 - Coretta had actually planned a career in the music industry before she met Martin Luther King, Jr.
#6 - Coretta met her future husband, Martin Luther King, Jr., while she was attending the New England Conservatory of Music. It was King’s father who married the two, performing the ceremony at the family residence on June 18, 1953. #7 - During the Civil Rights Movement, Coretta made several unforgettable speeches, gave Freedom Concerts to benefit the movement, and worked to get the Civil Rights Act of 1964 -- all while raising their four children. #8 - When Martin Luther King Jr. was assassinated in 1968, it was Coretta who took over as leader of the Civil Rights Movement. #9 - It was Coretta who fought for 14 years to get her husband’s birthday declared a national holiday. The bill was signed into effect in 1983 by President Ronald Reagan. She also actively raised awareness in the U.S. against South Africa’s racial policies and strongly urged President Reagan to impose economic sanctions against South Africa. #10 - Sadly, she died in 2005 from complications due to cancer. A middle school for girls in Atlanta was named after her, the Coretta Scott King Young Women’s Leadership Academy. In addition, Super Bowl XL was dedicated in her memory, and she received many honors for her contributions toward civil rights.